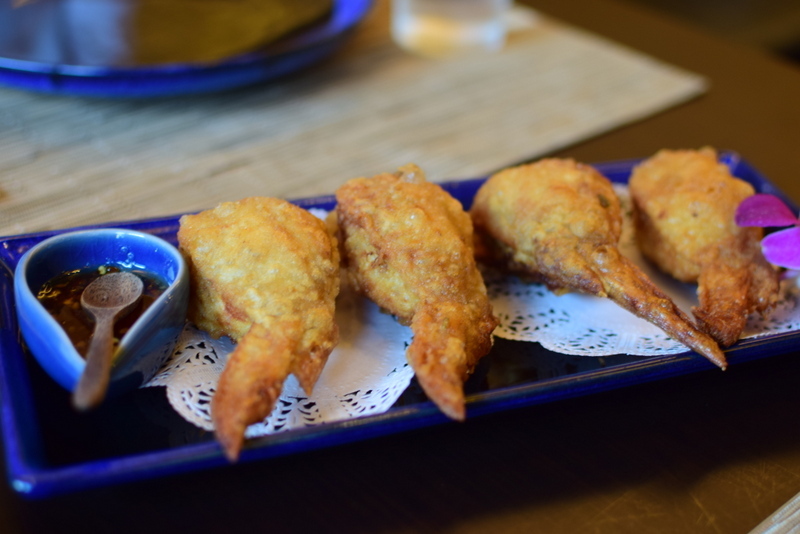 Sawadee Thai Cuisine – Simply foodolicious! おいしい! 好吃! 맛있는! délicieux! delicioso! 好食! Delicious Thai food served here, but just a lack of customers. I was reading some blogs and this restaurant was described the same way. Met up the London peeps at this restaurant for a good Thai meal and throughout our two hour lunch, we were the only customers. It really is quite sad to see that such a good restaurant not getting busy at all. I guess it may be due to its location. 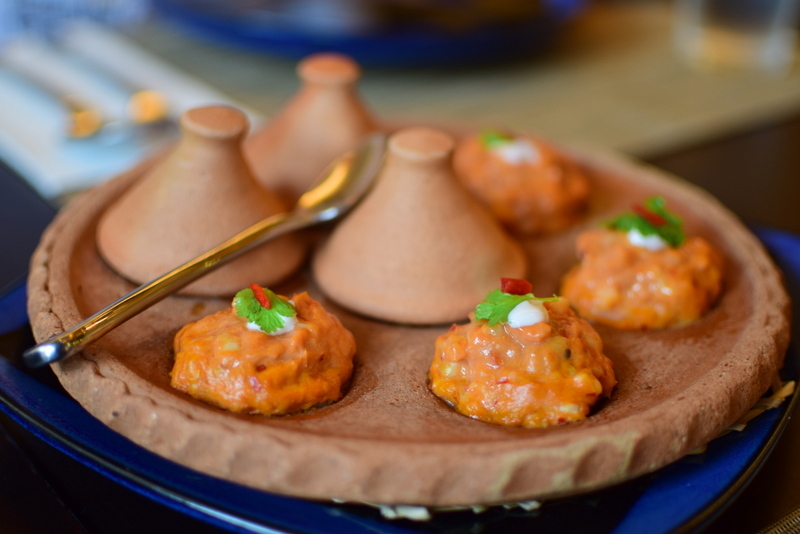 Located deep inside Quee Lan Street, it really is very easy to miss this restaurant. While all the other restaurants are located outside, near the main road, Sawadee is located inside beside some bridal shops. I guess one wouldn’t walk past all the bridal shops just to get to Sawadee as they may assume that there’re no more restaurants further ahead. Anyway, we ordered the 6 dish set meal for four which costs $118. The first one that came was green curry. 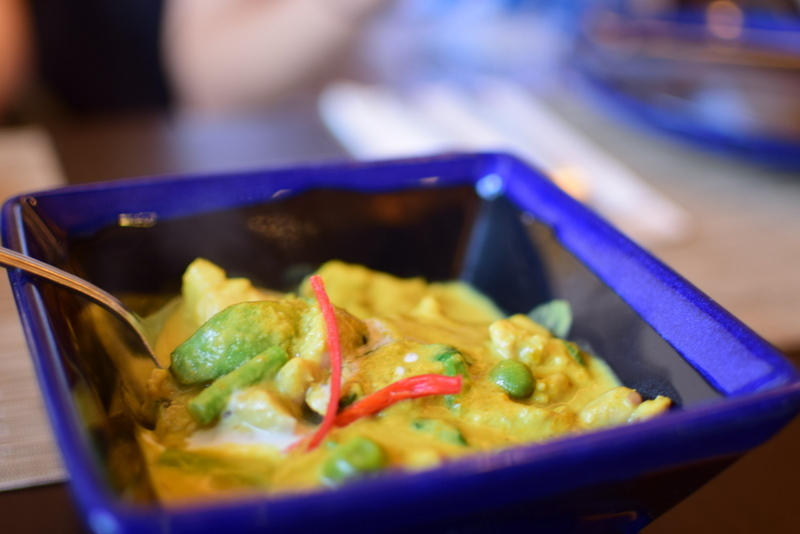 The green curry here is thick and fragrant and isn’t the watery kind. Chicken is tender and I can have two bowls of white rice with it alone. Next came the Thai fish Otah and I really love otah served in this way somehow. It looks really cute and appetising I feel. 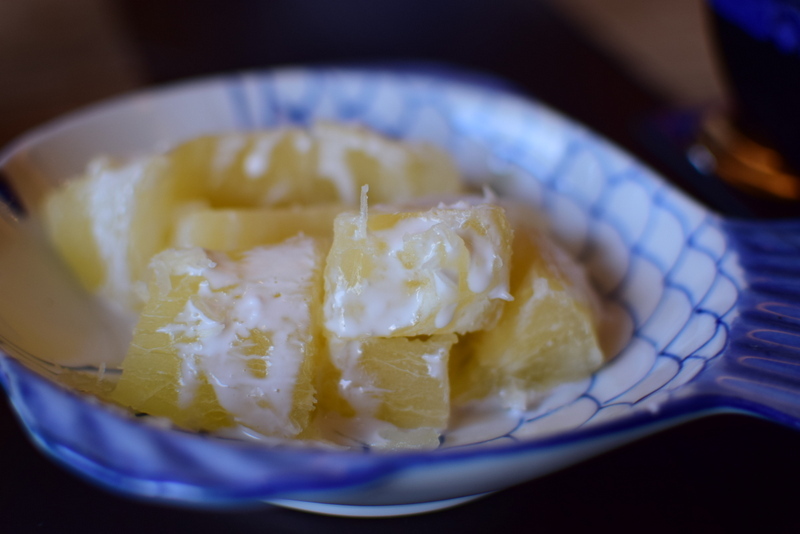 Otah is different from the local ones as it is more moist. While the sg otah focus more on the chilli, the ones over here uses coconut milk to give it its fragrance. This is the second time that I have seen this type of otah. My first time having it was at Yingthai which is located on a parallel street. Next was the stuffed chicken wing. Stuffed meat was moist and felt really juicy. 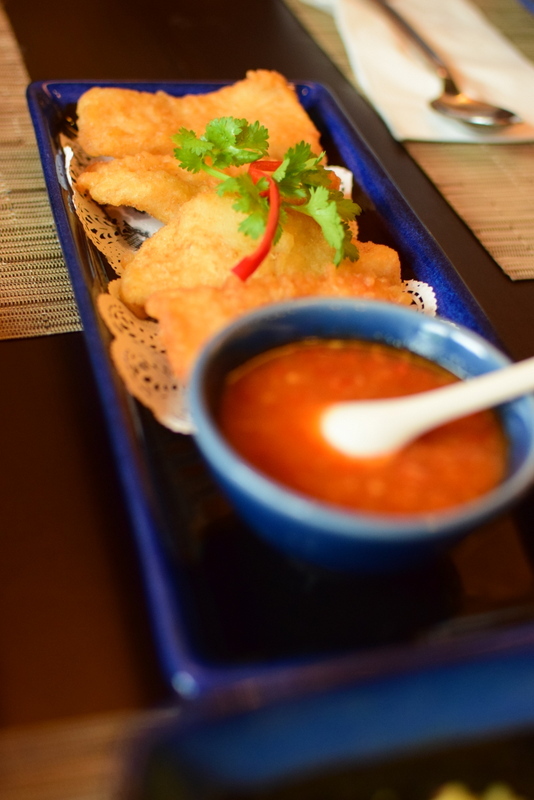 Together with the sweet chilli sauce, this dish is really delicious. Then again, I haven’t had mediocre stuffed chicken wings before. 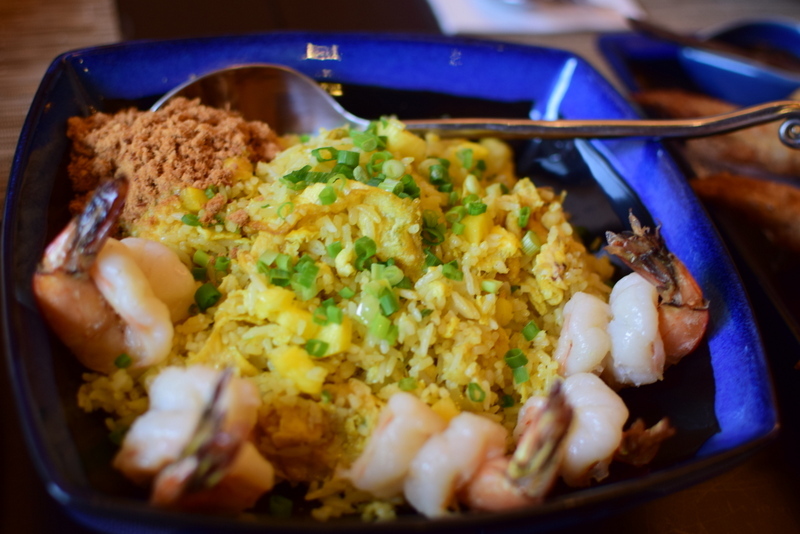 The pineapple rice is really worth a mention as it is so fragrant and not too oily. There’s pork floss in it and I was impressed by its presentation as huge prawns were served with it. These prawns tasted genuinely fresh and succulent and I love the nicely stir fried egg bits in the rice. Rice was moist too and every grain was delectable. 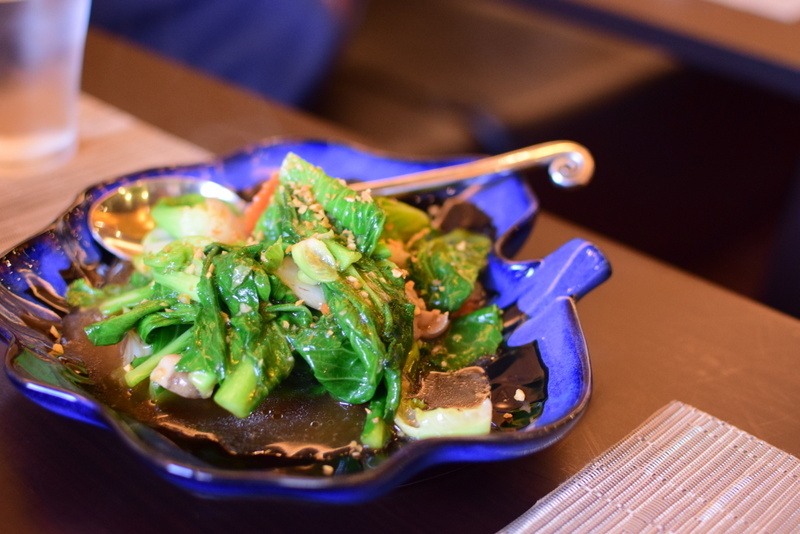 Stir fried vegetables were also aromatic and crunchy. The fried fish fillet was a slight miss I thought as it tasted a little bland. It was said to be seasoned with three different kinds of sauces but didn’t feel so. The chilli though was really good, very zesty and not overly spicy. And so after finishing the set meal, we got the dessert menu and as we were so satisfied with the set meal we got all the four desserts available without any hesitation. Each dessert costs about $4 to $5. 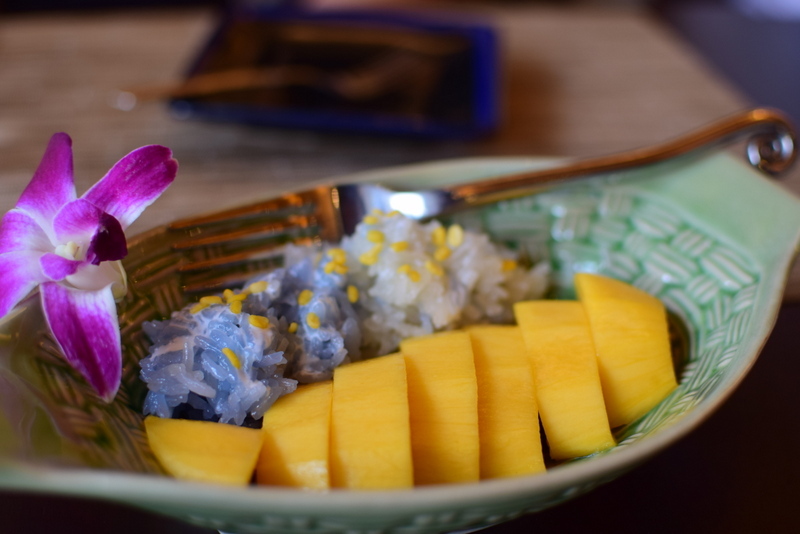 Mango glutinous rice was very delicious. Glutinous rice was warm and has different colours which I am not sure why. The mango is sweet and soft while the small yellow bits were crispy. Didn’t know what are those though but it gives the glutinous rice an interesting crunch. The coconut tapioca tasted normal though. It’s good but you can get it anywhere. This red ruby is also really delicious. It’s not easy to make good red ruby I felt. This one was soft while the chestnut in it is crunchy. Yummy red ruby. It also doesn’t taste overly sweet and felt quite refreshing actually. Jellies were added to this dessert too. The winner dessert I felt was this bowl of durian glutinous rice. The durian was so thick, creamy, pungent and delicious. 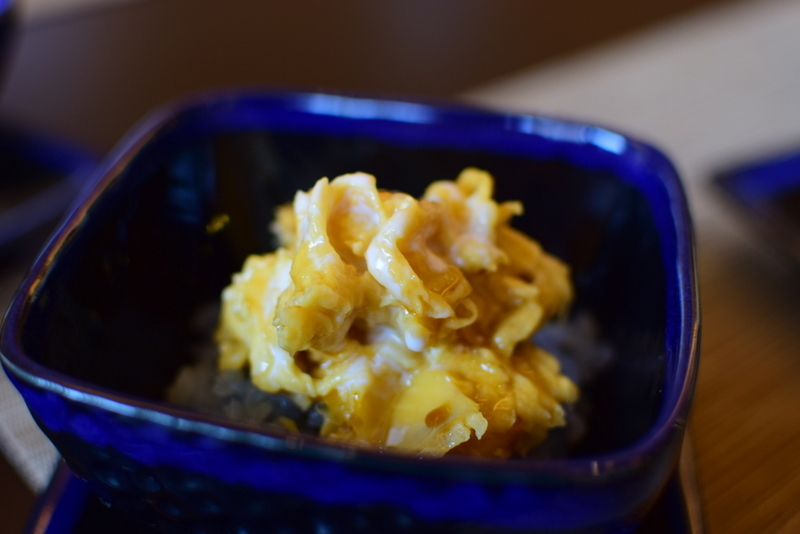 Glutinous rice used is the same as the one for the mango dessert and was served warm. We finished this in like 30 seconds I think. So, each of us spent about $39 on this meal and I find it totally worth it. This place really deserves a greater traffic. Although we were the only customers for lunch, everything was still meticulously made. 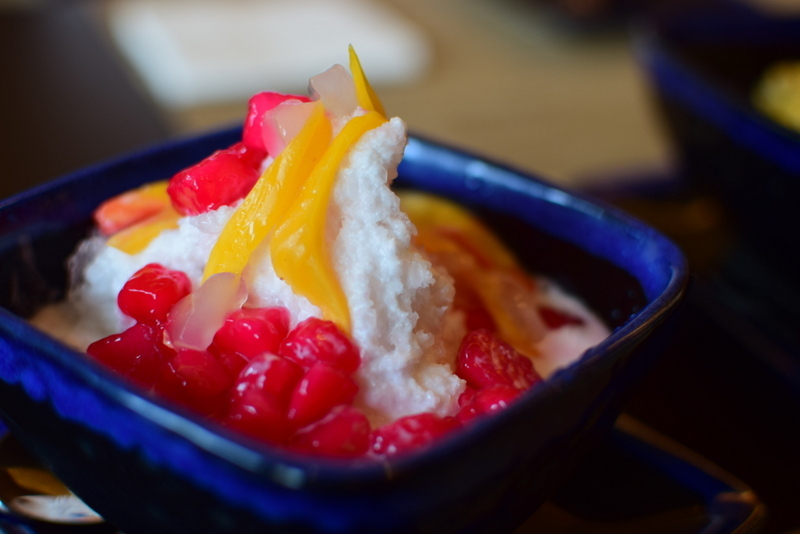 Like the glutinous rice for dessert is kept warm and they did not cut down on their presentation. I like the bowls used as well. Really hearty Thai lunch and we were given $20 voucher every $100 spent for the next visit. Service here is also good and polite. A recommended restaurant for Thai food! Hi Eric, thank you for your kind compliments. It is things like this that keeps us going forward, especially for a restaurant like us that just recently moved to Bugis. Just to clarify on the 3 Flavoured Fish Fillet you ordered, the 3 flavoured sauce is normally poured onto the fish when served. But when we notice a customer is having a slow meal instead of a quick lunch, we would separate the sauce (as per picture) so that the sauce will not affect the fish crisp or make the fish soggy after some time. Apologies as my staff has probably forgotten to explain to you clearly. Hi Sawadee, thanks for the explanation! Yeah, I will be going again in May! Will try the olive rice too then! 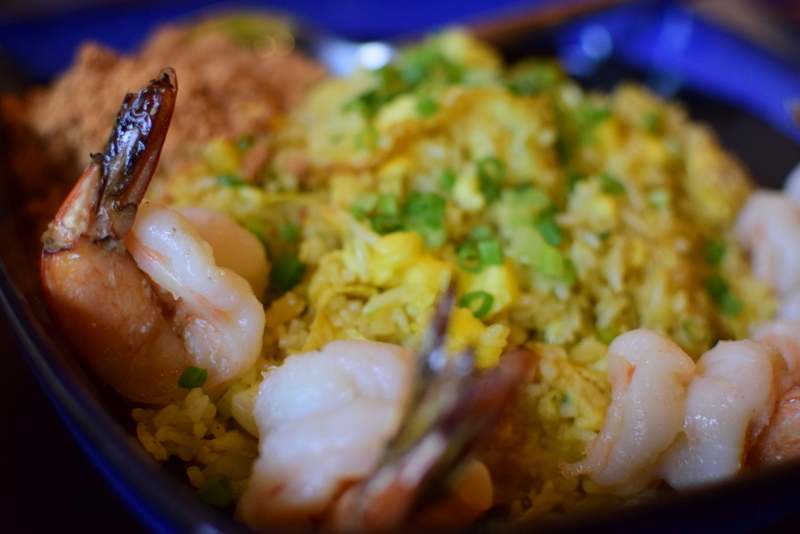 The Olive rice at Sawadee Thai is really delicious even though I am never a fan of olive rice but this dish at Sawadee Thai has really wow-ed me. Do give it a try the next time when you revisit. OK! I will do so. Thanks for the recommendation!